The Tour de France is the grandest of all bike races, including a rich history with racing innovations that have changed how we ride. Issue 27 shares our take on the most famous bike race across France and dropped yesterday on iTunes and the Web. While editing the issue, with an admittedly negative view of the Tour, I found and cited Harakirimushi’s manga in my editor’s letter. Because Froomey petting a lion reminded me to not take it and the sport so seriously. I mean even a big-headed, skin-and bones alpha roadie with an eating disorder looks adorable in whimsical drawings. The free cover story discusses Froome’s miraculous performances and reminded us of the US Postal Service squad and it felt like we watched another sequel in a bad movie franchise. Available on iTunes and the Web, the 27th issue of the magazine costs $4 an issue or $16 per year. 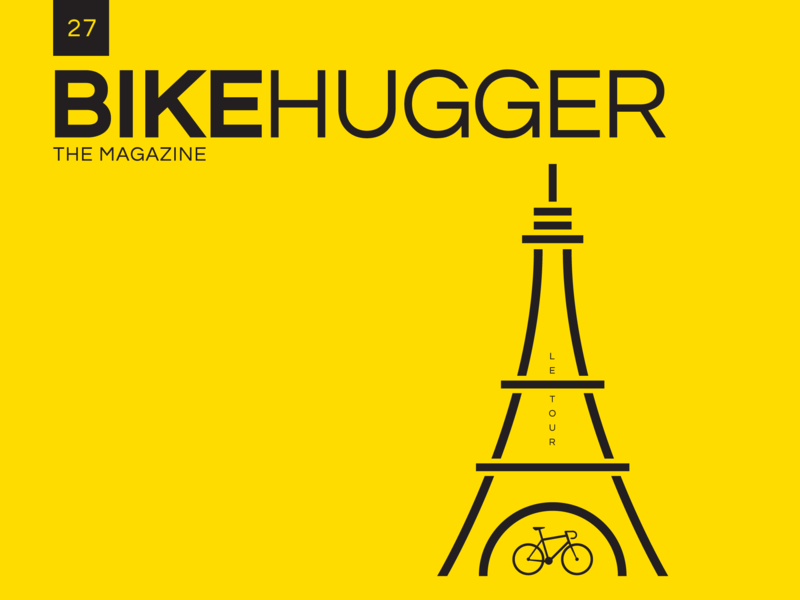 Ad-free and published monthly, your money directly supports the authors, photographers, and editors who contribute to Bike Hugger. Previous Previous post: CrossVegas and Pro Bike Express!